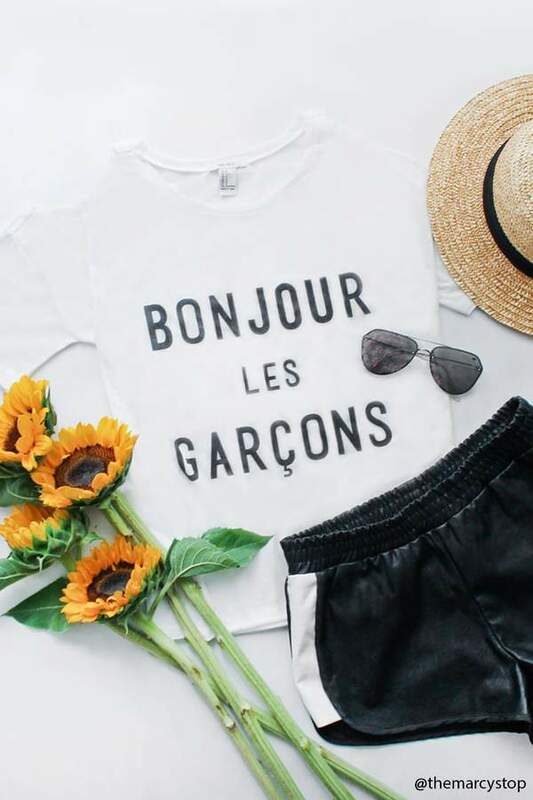 This week’s French Friday post is all about graphic t-shirts that have everything to do with Paris or French. I admit, I don’t really wear a lot of t-shirts but I have a love for a fun French-inspired graphic t-shirt. 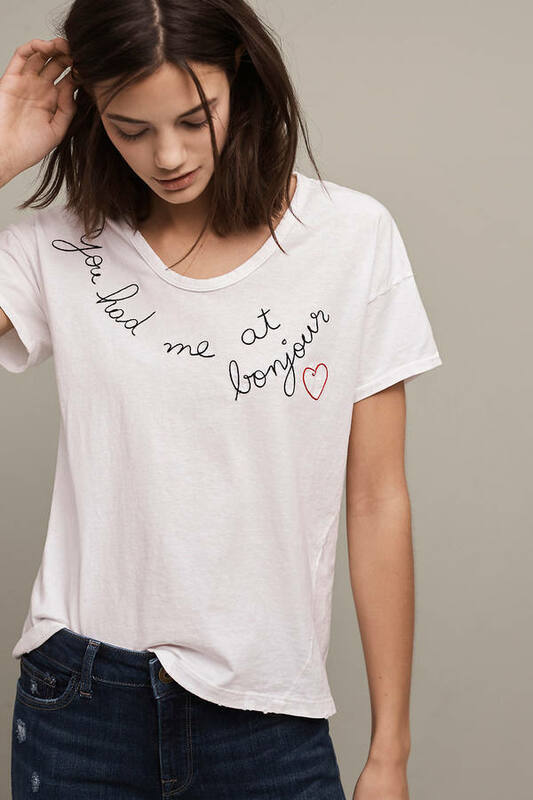 Yeah, it’s not true Parisian style to wear these…but I do love wearing a graphic t-shirt to show my love for everything French. Besides, these graphic tees are perfect for spring and summer. They’re easy to put on with a pair of jeans or a skirt. No layering or other accessorizing involved because the tees are already making a statement. Here are some I’ve either purchased or plan to purchase. Which one is your favorite? I saw this tee on Anthropologie’s website and knew I needed to have it. It kind of reminds me of the line in the movie Jerry Macguire but with a French twist. I recently purchased it when it went on sale and can’t wait to wear it when the temperature gets warmer. The top is also available at Shopbop. 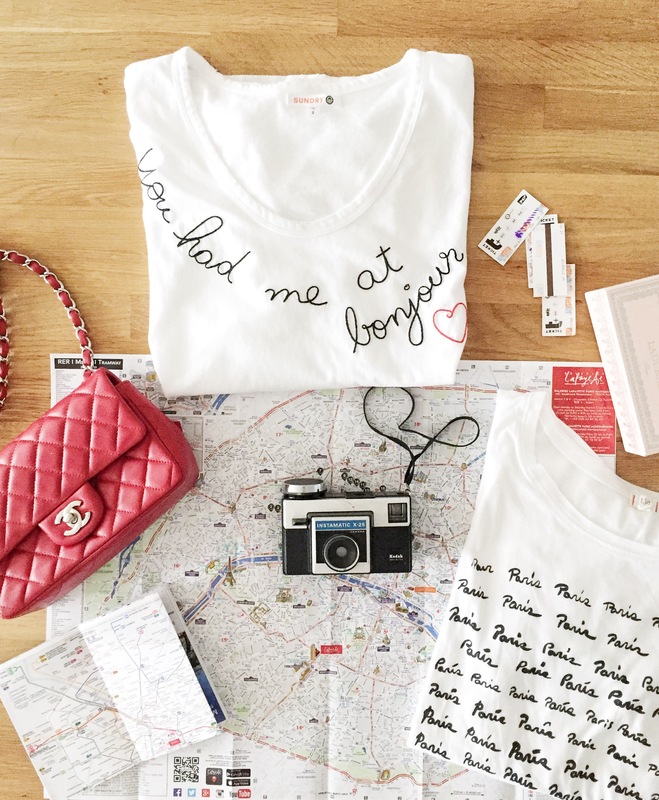 This is such a fun tee because the illustrations in it has everything I love about Paris. I’ve been eyeing this top for awhile too. It is currently on sale for $29.99 with an additional 30% ($20.99 after the discount). I’m waiting for a size large to go back in stock! I think this is the perfect top to wear to France…because my French is so bad! But I really think this t-shirt has another meaning. LOL! I’m debating on whether to get it or not. The price is very reasonable, less than $15. This t-shirt translates to “Hello Boys” and I adore it because it’s so cheeky and looks great with the cold shoulder trend. 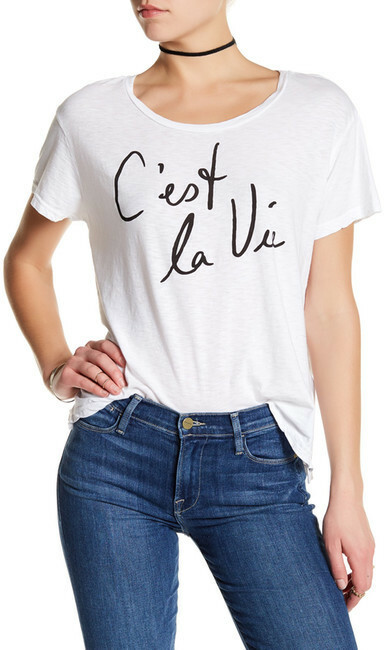 This t-shirt is my motto – c’est le vie or “it’s life.” If I didn’t have a few t-shirts with c’est la vie on it, I would take this one. A gratitude shirt is always a must! As always, merci beaucoup for stopping by my blog! Hi Anne, I got the Paris, Paris, Paris tee from Anthropologie about two years ago. Hopefully they will bring it back.